What Are Textiles and How are They Used? Once you have decided that you want to take up the hobby of knitting you most likely are going to need some knitting help. There are a few ways that you can go about getting this. 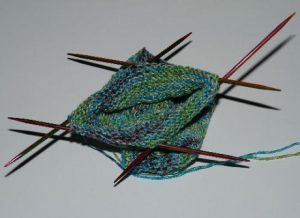 Many wonderful knitters will often tell you that they originally learned to knit from a family member. Quite often this may have been their grandmother or an aunt perhaps. Most learned at quite a young age and it is a skill that once they mastered they carried forward with them for many years. Knitting is such a well known hobby and there are so many enthusiastic knitters that many of them have formed knitting clubs. They will even open up their memberships to beginners, so they can learn. These clubs are great because each member has their own knowledge about the different types of stitches that are used for knitting and they are willing to share this knowledge. The internet is a great place to go for knitting help. There are all kinds of sites that offer beginners lessons and tutorials. There are even videos that help to teach this craft. There are plenty of books available on knitting help. These often come with very detailed instructions, and plenty of illustrations to walk you through each step. When it comes to knitting help you are going to find at first that you may need some lessons on each of the stitches that can be used. At first you will want to stick with the basic stitches like the knit and pearl stitches. With just these two stitches you can begin to complete some simple projects. Most people start by making a scarf with these stitches just so they can become familiar with them.